Survival (NOT FACTIONS! 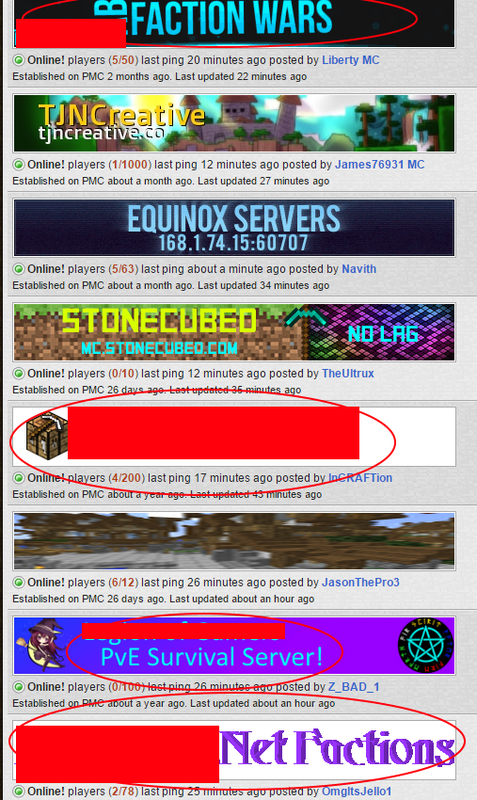 ), Minigames and Skyblock. Safe survival. No griefing, stealing or looting. Preferably on Hard with a system that allows you to request PVP like in a duel. Not ANY sort of prison or factions. Just way too many. All the red ones are factions servers. Like, whaaaa-?! An actually creative server that doesn't fit into one ot the same overused themes. Anything BUT Factions. I hate Factions.